A star of the Rhône Valley, this is a warming and accessible, delicately spiced red with flavours of hedgerow fruit. The Chapoutier family motto ‘Fac et Spera’ – do and hope – sums up their patient and daring approach to winemaking. Michel Chapoutier’s distant ancestor Polydor Chapoutier first bought vines in the Rhône Valley in 1808, and today history and tradition abound at this vast estate that stretches from Côte Rôtie in the north, to Costières de Nîmes and Luberon in the south. 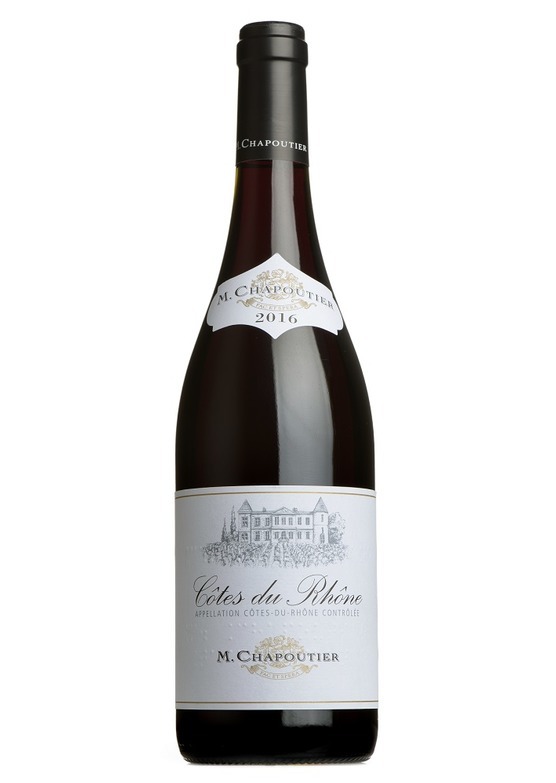 The M.Chapoutier vineyards in the very best sites of the Rhône represent the quintessence of the range and with Michel at the helm since 1988, quality has been consistently very high. Michel Chapoutier’s continual pursuit of great terroir took him south from the Rhône to the Roussillon in 2000, where he bought land in the village of Latour de France, known for its stony soil terraces and rich geological heritage.